- On Ubuntu this is happening at random, but more frequently running videos on YouTube with the HTML5 player (https://www.youtube.com/html5) or with the XBMC home theatre software. - Graphics hang with an homogeneous colour on screen or blank screen, and with chirp coming from the graphics card. Oct 25 14:55:46 lt9630 kernel: [ 857.814345] pubdev:0xffffffffa02fd600, num of device:1 , name:fglrx, major 8, minor 88. Oct 25 14:55:46 lt9630 kernel: [ 857.814346] device 0 : 0xffff88019b850000 . Oct 25 14:55:46 lt9630 kernel: [ 857.814348] Asic ID:0x6779, revision:0x3c, MMIOReg:0xffffc90012b80000. Oct 25 14:55:46 lt9630 kernel: [ 857.814349] FB phys addr: 0xc0000000, MC :0xf00000000, Total FB size :0x40000000. Oct 25 14:55:46 lt9630 kernel: [ 857.814351] gart table MC:0xf0f8fd000, Physical:0xcf8fd000, size:0x402000. Oct 25 14:55:46 lt9630 kernel: [ 857.814354] MC start:0xf00000000, Physical:0xc0000000, size:0xfd00000. Oct 25 14:55:46 lt9630 kernel: [ 857.814362] MC start:0xf0fd00000, Physical:0xcfd00000, size:0x30300000. Oct 25 14:55:46 lt9630 kernel: [ 857.814366] MC start:0x40100000, Physical:0x0, size:0x50000000. Oct 25 14:55:46 lt9630 kernel: [ 857.814370] MC start:0x10400000, Physical:0x0, size:0x2fd00000. Oct 25 14:55:46 lt9630 kernel: [ 857.814398] GRBM : 0xa0003828, SRBM : 0x200006c0 . Oct 25 14:55:46 lt9630 kernel: [ 857.814400] CP_RB_BASE : 0x401000, CP_RB_RPTR : 0x10aa0 , CP_RB_WPTR :0x10aa0. Oct 25 14:55:46 lt9630 kernel: [ 857.814402] CP_IB1_BUFSZ:0x2d8, CP_IB1_BASE_HI:0x0, CP_IB1_BASE_LO:0x4040d000. Oct 25 14:55:46 lt9630 kernel: [ 857.814404] last submit IB buffer -- MC :0x4040d000,phys:0x196e97000. Oct 25 14:55:46 lt9630 kernel: [ 857.814406] Dump the trace queue. You are using fglrx. Is this an issue with the open source drivers? Yes, I'm not using fgrlx at all. It happens using both the libre and the proprietary drivers. Because this normally happens after first boot, but not in posterior ones, I greatly suspect this is a hardware bug. Probably this is happening because of the GPU passing from a cold state to a warm state too fast, under graphic demanding operations as watching videos are. And Windows users won't be experiencing this as the GPU doesn't stay in a maximum power state all the time. So this should be a bug in the Linux kernel, Direct Rendering Manager's, Dinamic Power Management feature. You seem to be using a very old version of Ubuntu and in particular the Linux kernel. Can you try newer versions? Current versions of the kernel radeon driver support DPM. It also happens to me using Ubuntu 14.10 with xorg 7.7. > It also happens to me using Ubuntu 14.10 with xorg 7.7. Please attach the full /var/log/Xorg.0.log and output of dmesg corresponding to that here. Both fglrx and radeon support dynamic power management so this does not likely have anything to do with power management. It looks like a plain old GPU hang. I'd suggest updating your mesa stack in the case of the open source driver. Does fglrx depend on Mesa? How can I figure out if this is a bug in Mesa? > Does fglrx depend on Mesa? > How can I figure out if this is a bug in Mesa? So why is this happening also with the proprietary driver? And about upgrading using the PPA, I have just done it. If in three weeks the problem doesn't reproduce, I will report it as gone in git version. Graphics hanged again just after finishing the latest comment. The open and closed drivers currently don't play nice together. Hopefully one day that will change. But to me it looks like you haven't fully removed fglrx and this is causing you problems. The Synaptic package manager says there isn't any fglrx package installed, and following instructions at <http://askubuntu.com/questions/78675/how-do-i-remove-the-fglrx-drivers-after-ive-installed-them-by-hand> says the same. Wait, comment 2 says further steps are needed... I'm testing now. I will test this for a while. 1. Let the computer cool down for several hours. 2. Preferably in the morning, when ambiance is cool, switch on the computer. 3. Using the HTML5 YouTube player, play a video. It looks like if the computer has been on for a while, is harder to make it to hang. Other symptom is sound hangs too. 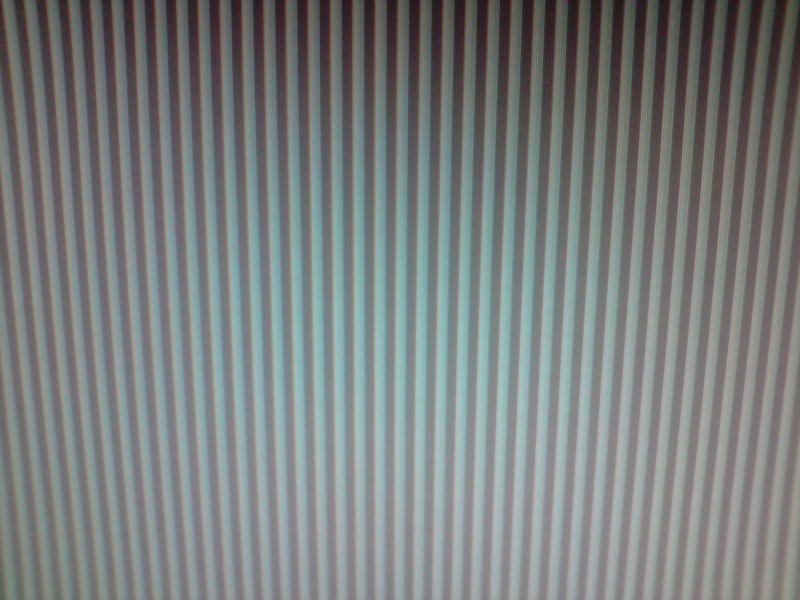 And sometimes, when graphics hang, what appear in screen is a pattern of stripes of near the same colour. I confirm it also happens with the Adobe Flash player when reproducing videos in YouTube.